It’s so hard to get qualified leads today , but don’t lose hope. It can be done if you’re willing to commit to smart and consistent action. Ok, do you remember that guy at High-school; the guy that could get the number(lead) of any girl he wanted. 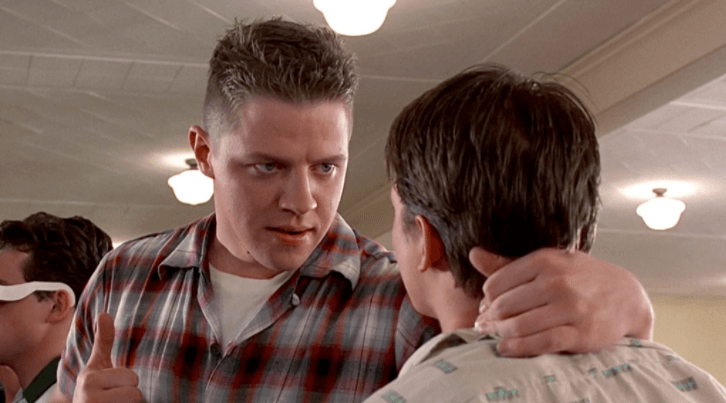 If you weren’t that guy, you probably hated him. The same applies for the ladies, there was that girl who always got the hot guy. If you weren’t that guy or girl you probably hated them.. The fact of the matter is that it’s pretty similar in business. Just take the example of Google’s first page for any particular search term. The first search result gets more than 70% of traffic. The truth is that, although we probably hated them, that popular guy from High School probably did something right and we have to reverse engineer their successes to apply it to our own lives. Today’s topic is how to get leads without throwing tons of money down the drain. When new customers first come to us at Ninjodo, 80% of them have either a lead generation or sales conversion issue (or both). Wanting great results in both of those areas is why people decide to come on board with Ninjodo. But right now we’re going to cover the first part of the equation, getting the leads in the first place. Now, I’m not promising you’ll get hundreds of leads instantly. Implementing this blog post will rather be a way for you to create a trickling effect where you get more and more quality leads building up over time. Let me give you a little secret: It’s all about bringing value to customers bit by bit and constantly. Have a look at your existing customers, look for the patterns. They might be mostly in a few industries, or business types, in a specific area, have a certain size or budget. Whatever those patterns are, they are the hints of what we like to call Buckets. So out of all the people that could possibly buy, only a small percentage are actually your ideal customers (the right type, right size, right budget). Now of those people, not everyone is ready right now, so the number of possible customers gets smaller again. If we started with 100 leads (or potential customers), we might now only have 5-10 that are even likely to possibly buy. Now answer this question, how many leads do you convert into customers? Everybody? probably not. Half? If you’re pretty good. So it becomes very clear, very quickly, you’re going to need A LOT more leads than you originally thought to get the level of sales and customers you actually wanted. The question now becomes, how do you get them, especially when you’re just starting out. There are plenty of ways to get paid leads from Facebook ads, LinkedIn ads or even Quora or Reddit ads. But if you don’t have many (or any) sales yet, it can be hard to pay for those. 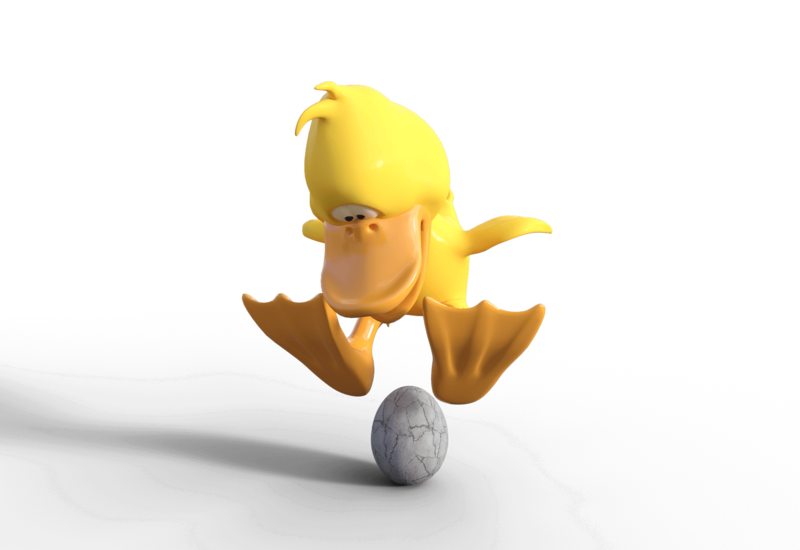 That damn chicken and egg thing right? What we want to focus on here today is how to get leads for free. What are the ways you can get the ball rolling without having much of a budget (if any). So without further ado, here are 15 ways to get free leads for small business. Quora is a Q&A site where you can find out pretty much anything from a community of high-quality people. With over 100 million monthly active users, it’s got almost every niche in the market covered, and as such has plenty of potential leads and customers searching for answers. They are probably asking questions regarding your expertise and you can help them with it. Quora has been quite a successful strategy for us lately. Both Mustafa (from our marketing team) and I have been getting consistently high views on our answers, which translates into some pretty decent traffic. Even better, that traffic is really high quality, because people are usually well and truly into their research phase when they read answers on Quora. Even better, that traffic is really high quality, because people are usually well and truly into their research phase when they read answers on Quora. They know what they are looking for and if you execute this strategy well, you are one of the options that comes up in their search. So, here is our process. We find questions that might be directly connected to our business. After you find that kind of question, you put your focus and effort in and answer it the best you can. If your answers are well written and give good value, you’ll attract what’s called an Upvote which helps to move your answer to the top of the list of answers. Click on this link to see how we answered this question. Pro tip: You should, of course, link back to your own website when writing your answers to questions as that will give you backlinks which will make your website rank better in Google searches. We’ve mentioned Facebook groups in our “small business growth tactics in 2017” blog post. Basically, they’re a great way of networking with people similar to yourself and a great way of getting customers. But today I want to introduce you to a fairly new way to get free leads from Facebook groups. It bases itself on offering value, engagement, and common sense. 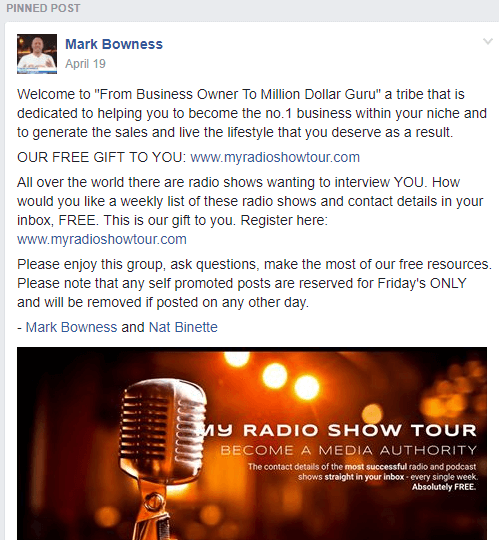 First thing you need to do is to find and join interesting Facebook groups in your niche (or business industry). Those are groups where members are mostly your potential clients. After that, you introduce yourself and ask the community about their most pressing problems and offer to help (in the form of answers or advice).These posts typically get great engagement and allow you to introduce yourself without being needy, instead start by giving value to the community. Now, that you have their honest opinion on what’s pressing them, create a simple pdf document that will help them solve that problem. Here’s the kicker. Upload the pdf document to your Google Drive (or Dropbox, or Box.com) and share it with the Facebook group. Here’s how one guy was able to get 43 leads in a couple of minutes using this tactic. Your post should look something like this. He structured this perfectly (short, simple, didn’t ask for anything in return … or did he? ), needless to say, 43 people commented yes on this post. Now comes the genius part. What to do after they’ve said YES in the comment section. Well, you simply add them on Facebook and give them the link to your previously created resource and invite them to apply for your weekly newsletter. There is a saying that can be applied to a lot of stuff in business. It goes something like this: “Don’t strike when the iron is hot, make the iron hot by striking.”. Well, it doesn’t apply to everything in business. Isn’t it beautiful when you close a client with one email? What does that tell you? At first you may be fooled into thinking you’re a bit of a wordsmith or you were on fire that day. In reality, what it really tells you is…that person was ready to buy. But how to find people that are ready to be “molded”. It’s pretty simple really. You find them on social networks and speak to them quickly and honestly. Social networks have some pretty badass search capabilities these days. Just a year back, it wasn’t like that. Back then, the only powerful social network(in regards to search) was Twitter. Now, it’s a bit different. Facebook and LinkedIn have caught up. The thing is that people use social networks to get recommendations on which service provider they should go with every day. You just have to catch them in the act of searching for a suggestion. After that you just need to honestly invite them to check out your business. Don’t be ashamed of it. If your business will really improve their lives, then go for it fearlessly. Reddit is “the front page of the Internet” it’s where stuff goes to get Viral which then gets shared on social media. Use some of that potential. Given, it’s hard to get on the front page of Reddit, but you can use its potential and get hundreds of free leads in no time. First you’ll need to create a Reddit account. It’s pretty simple, just like when you create an account for some sort of forum. After that you’ll need to find relevant subreddits. A Subreddit is a part of Reddit where people of specific interests hang out and make a community. You type your niche into the search bar and subscribe to all your relevant subreddits. A pro tip: Don’t be a spammer. Reddit communities have a nose for people that are just there to get some cheap customers. Become an active member of your subreddits and comment regularly. Here is a trick that’s been working out very well for us. Just ask people to help you out with their opinion. We did this with Online forms. Firstly, as human beings we love giving our opinion on things, it’s in our nature to want to be helpful. We also LOVE providing answers and beating quizzes. There is something fundamentally rewarding about getting questions right. Using these two factors of human behavior together in the form of a more advanced form has enormous lead generation impact. Since we released our Ninjodo form building tool, we’ve been trying proven methods and also testing out all sorts of our own ideas to see what works best. Enter our most active form yet. Not only does it help people get a feel for what Ninjodo can do for them, it helps us figure out if we’re even a good match and allows us to then send the person more relevant responses to which features they would see the most benefit from. It takes the sleazy selling, and guessing, out of that initial conversation with someone, and just let’s two businesses have a proper conversation. If you want to check out how this looks, click here to go to our homepage and give it a go yourself. Make forms that help your audience. We made a simple form that became an integral part of our Home page because it’s converting a lot of our visitors into customers. 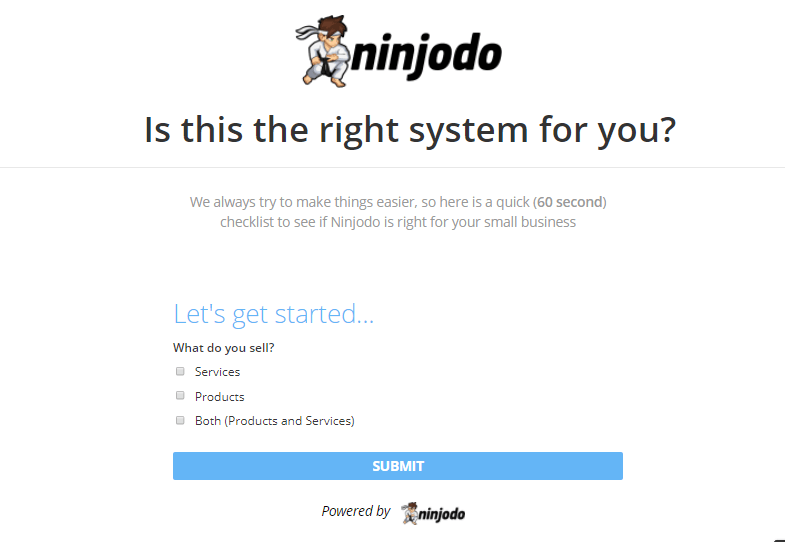 It’s called: “Is Ninjodo the right tool for your business?”. It takes about 60 seconds to fill out and people are genuinely curious about this question. Furthermore, we made an entire blog post about how to get more leads from your website enquiry forms. In there you’ll learn how to create these interesting forms. 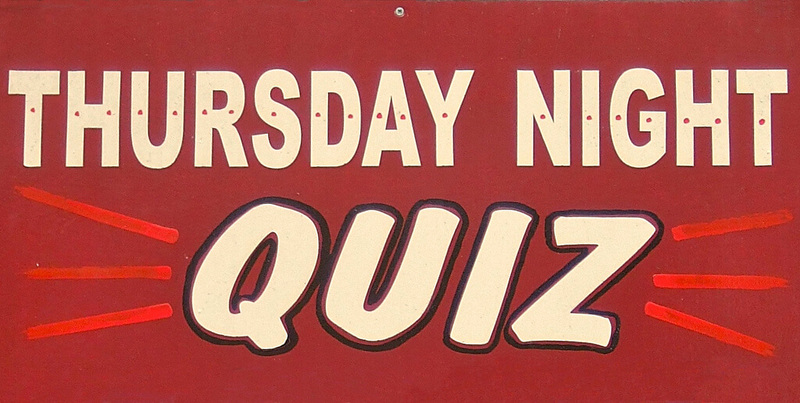 Quizzes are a new way of getting leads. It’s a great opportunity for you because it’s still reasonably uncharted territory by the masses. 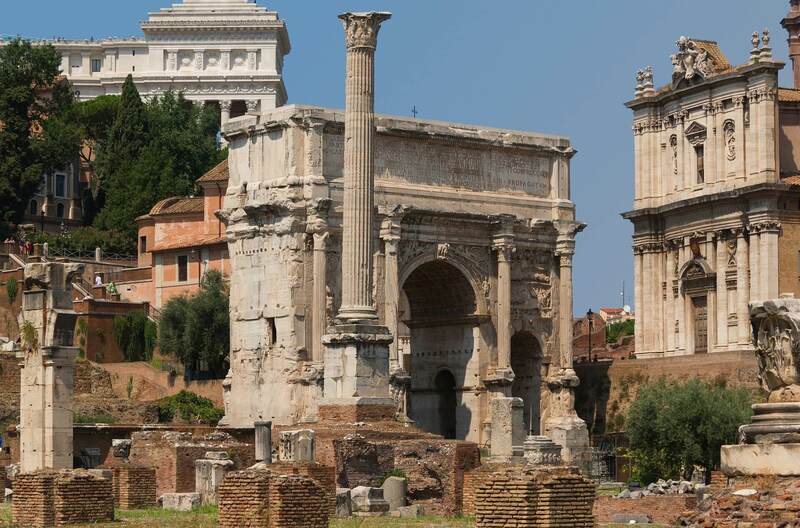 Actually, we’re in the process of building one of these ourselves. The great thing about quizzes is that they are inherently shareable. Did you ever have a facebook friend that shared some idiotic quiz that’s called something along the lines of “What celebrity do you look like?”. People love quizzes, we just need to make them relevant to our business niche. Let’s take an example. Let’s say you’re in the car sales industry and you want to get more leads. You could create a quiz called: “What does your favorite car say about you!”. After that, you make funny descriptions about people who choose a particular car type and there you go. That has a potential of going Viral. For Quiz creation you can even use Ninjodo forms, and we’ll create a blog post about that soon, so jump on board with the Ninjodo community and keep a look out for it. Did you know that the Affiliate Marketing Industry is expected to grow to $6.8 Billion in the next 5 years? The industry is huge, and get some of that cake for yourself. Affiliates are a great way for you to get the word about you spreading like wildfire. All you need to do is to find influencers that have a lot of your ideal customers and make them an offer they can’t refuse. Give their audience a special deal and pay them well. It’s just like with employees, if you pay them well, they will be loyal and give every ounce of energy they have for you. You can use BuzzSumo to find influencers and Refersion for managing your affiliate marketing campaigns. Affiliate marketing is not a free lead generation method per se, but you don’t pay anything unless you make a sale. You’re also likely to see a nice little spike in leads when your customers start sharing your content and your product. Word of mouth or referral marketing has been the cornerstone of every business’ growth since business even began. There’s an incredible power in having a product that creates buzz all by itself. But in today’s cluttered word, you might want to think about giving a push to your referrals. 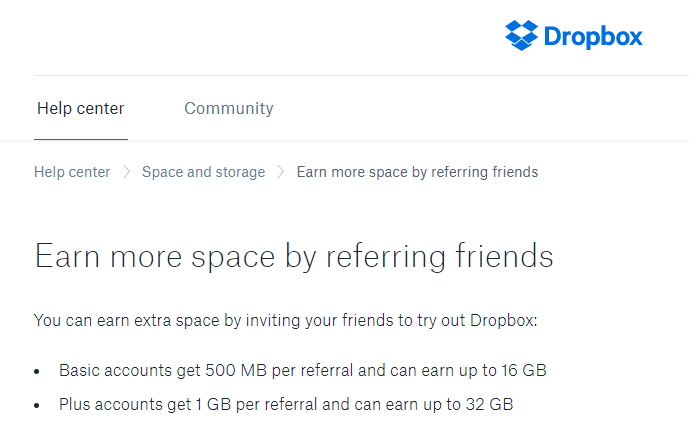 Did you know that referrals were Dropbox’s single most important growth tactic? They offered free storage space if you referred them to someone. Dropbox still uses this lead generation method. You can read all about their Referral program here. But the basic is that your clients get either a discount or get to use more of your product if they refer a friend to you. Even though almost everything is digitalised now, you can still use some guerilla marketing tactics to improve your business. First method to getting leads offline is giving away flyers. The DMA’s research shows that 48% of consumers actually visited the shop advertised, requested extra information or bought a product after receiving a flyer in their hands. Furthermore, flyers that offer some form of money-off (i.e. discounts) are 50% more likely to be held for at least a week, so for effective leaflet marketing – offer a promotion or coupon attachment. First you need to create a great flyer that gets clients to your door. You can use Upwork to find great designers. Shout-out to our designer Pam. For this to work, you need to write on the flyer that anyone who comes with that flyer gets something in return. You can give out surprise gifts, or simply 5% discount. Another trick is to put space for contact information right there on the flyer. This way you’ll get a lot of free leads that are ready to buy immediately. The second way is to get them on the windshields of cars. Third way is to leave flyers in apartment buildings. And the fourth way is to leave flyers into local businesses like flower shops, or jewelry stores. Complimentary business’ where you share similar customer bases are definitely your best bet. This is the most powerful method because it helps with social proof. Another business has agreed to back you. Did you know that, according to CER, B2B exhibitions were 39.2% of B2B marketing budgets last year, the largest amount of any other marketing channel trade shows? Furthermore, 81% of trade show attendees have buying authority. Which means more than 4 out of 5 people walking the aisles are potential customers for exhibitors. Trade shows are definitely worth the money and effort you put in. You can do a similar thing with flyers just do it at trade shows. Those can be incredibly powerful for networking. Not only can you meet a lot of potential customers and leads, but you can also create networking opportunities for affiliate and referral deals. 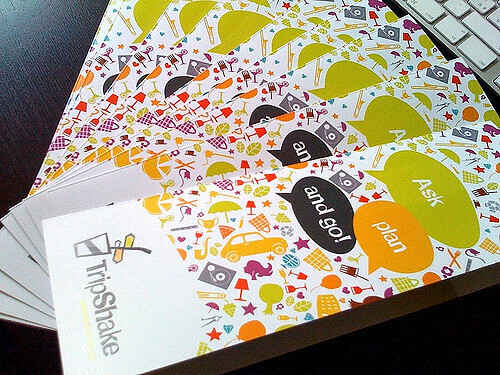 First you’ll need to find trade shows near you. For this, simply google “trade shows (your city)”. Even better, if you’re willing and able to travel to other countries. Just repeat the process above. Getting highly engaged leads from trade shows takes a bit of work, but it can be done. Just think in terms of how you can give value to people and how you can capture their contact information. Another great way of generating leads offline are conferences. I mentioned in one of our previous blog posts how I learned an incredible business lesson at a conference. Other than business lessons, conferences get you so much more. It’s an opportunity to create affiliate and referral partnerships, not to mention the inherent business and life lessons you get from speakers. It’s fairly easy to get new leads if you’re a speaker at a conference. But what to do if you’re just an attendee there. Well, the only chance for this can be the Q&A session. Conferences can be big. The key is to get noticed somehow so that you can make the most of the networking opportunities during the breaks. Ask insightful or deep thinking questions, if the speaker is looking for audience participation, put your hand up, don’t be afraid to be used as a test case in an example. Then during the breaks, you stand out more than those who haven’t done this. Creating Facebook groups have been growing in popularity as a strategy due to them being easy to setup and manage. The reason is pretty simple. It’s easy to manage, it’s self-sustainable and it can get you a lot of traffic and leads. 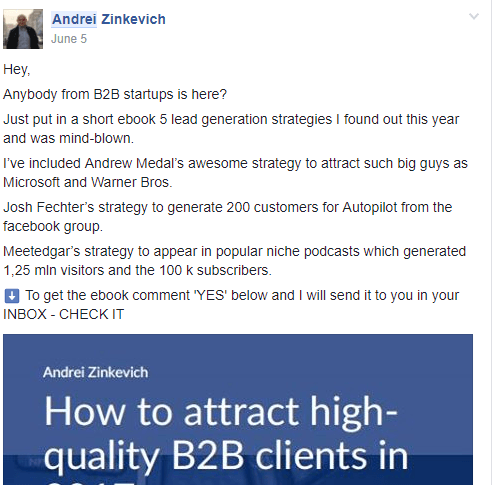 I mentioned a way you can get leads from facebook groups earlier. But when you’re the owner of the group, everything becomes 10x better. It’s important to get this going earlier and aim to be getting over at least 200 in your group very quickly.Groups that tip over 200 tend to become self-sustaining. You can kickstart it by using all your social media accounts to invite people to the group, using your mailing list or even pay for Facebook ads. When you’re the owner of an active group, you can pin a post so that every person sees it. In there you can invite them to your site and even invite them to fill one of your forms. And there you are; let the free leads start pouring in. LinkedIn posts can become a great source of leads for your business. Especially if you’re in the B2B world. LinkedIn provides you with numerous options for being seen by a sea of potential leads and customers. It’s ludicrous! Platforms like LinkedIn get successful by charging for advertising and premium accounts. They are able to make money this way only if their sites have high engagement, often in the form of free users. Exactly the same thing happened with Facebook, so you should hop on while it lasts. Essentially, follow influencers and/or viral posts that are connected to your industry or your niche on LinkedIn. When big post(those with plenty of likes and comments) come up, write insightful comments and after that connect it to your business and link back to your lead magnet. This is a modern version of the old blog post commenting and a link generation tactic. Furthermore, think about becoming more active in posting on LinkedIn. You can get some amazing free exposure to potential customers. Aim to write a LinkedIn post or update every day. Here is a great blog post about how to do that. Maybe some of you’re thinking that forums are dead, but that’s far from true. For some industries forums are as alive as they have ever been. With lead generation it’s always the same, you go where your potential leads are and make sure to stand out. Forums are no different. Pro tip: Don’t go into this or ANY of these strategies with the energy of “If I do this, then they’ll have to return the favour” or “First i’ll do this, but just to get the conversation going so I can start talking about what I do with them”. It shows through in everything you do. Be genuinely wanting to help someone expecting NOTHING in return. That creates gravity as people what your interactions going on. Often it’s not the people you help directly that come to you for more, it’s the people who see the conversation going on or those who find it later and like how you carry yourself. Active Forums can be found by simply googling “(your business niche or industry) + forum”. After that it’s only up to you and how you behave in forums. Use common sense and tips from other ways I mentioned to capture leads from forums. 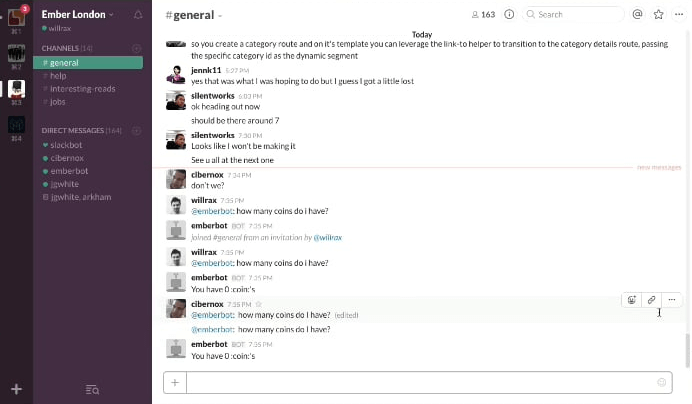 Slack is a simple communication app that a lot of businesses around the world use. It makes team communication really simple. But the less known thing about Slack is there are a lot of Slack groups that can really help your business. To find these groups simply google “(your industry or niche) + slack group”. After you’ve applied to be a part of the group you can employ various methods and tactics I’ve outlined in this article already to create some of that “lead gravity”. But what do you do if there is not a single Slack group or there are only a few weak ones for your niche? To be honest that’s a great news because you have the opportunity to create a Slack group for your niche. Think long and hard about what your potential clients need, before they know they need you. We all need leads and in order to get leads, you’ll need traffic. All of the ways above are methods for generating traffic and starting conversations with potential leads. It’s then up to you and your business to turn them into customers. Did you know that most websites only convert at 2%.If you’re going to go through all that work to get people to your website and most of them are just going to leave then what’s the point. BUT, I have a solution for you. We’ve used Hotjar(which we mentioned in our business tools blog post) and carefully analyzed what every single customer did on our homepage and our blog. That’s why we created Ninjodo’s small business checklist and our conversion rates went up. Well, that’s why we want to show you what you need to do first in order to capture all that traffic and turn them into Leads. I’m creating a mini video series to show you exactly how I made that Ninjodo small business checklist that increased our conversion rates by over 724%. If you want in, click on the button below and get yourself on the student list now.